Dont allow your coffee to catch cold. Use iCup instead. 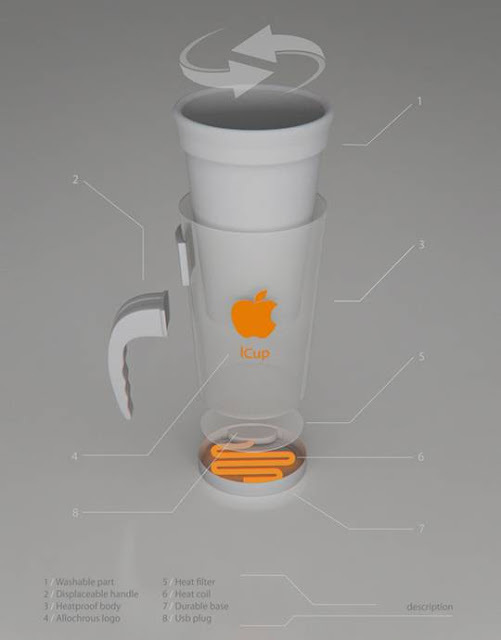 With enhanced advanced technologies and innovative ideas Onur Karaalioglu has developed iCup specially designed for Apple. 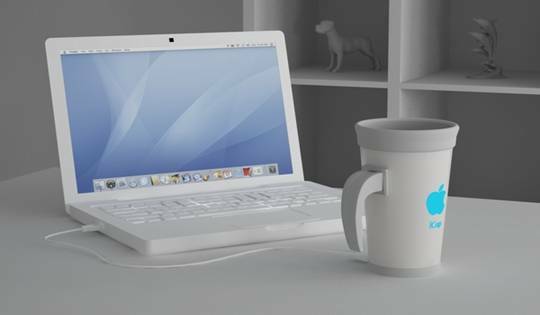 You can make your cup of coffee, tea or hot water just by plugging in iCup to your PC through USB port. 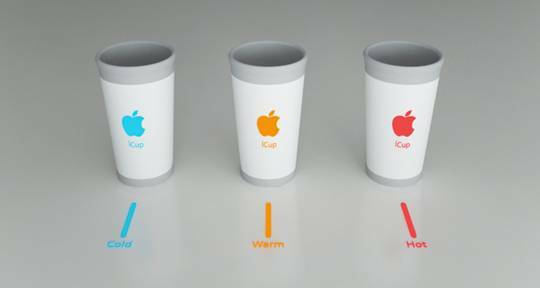 For easy handling, it contains heat filter, a duarable heat coil, attachable and detachable upper cup and handle.Its very easy to wash.
Apple logo sits on heatproof body as a indicator that shows the temperature of the inside content, blue for cool, orange for warm and pink for hot. 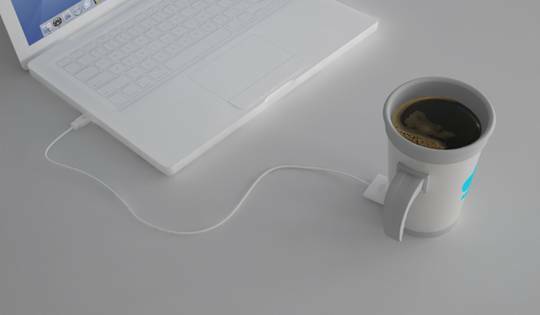 This reduces unnecessary breaks during your work and will be helpful to heat your coffee whenever it catches cold. Its cool isn't it ?